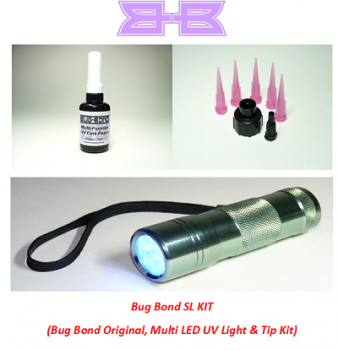 BUG-BOND™ Mains Adapter, Foot Pedal, Pro Torch, Bug Bond Original AND Tips! The complete set in one simple money saving pack. AC mains adapter, foot pedal, pro light, Bug Bond Original and a tip set all in one handy bundle.